On YouTube it is possible to see a timelapse video of Sud Est crater activity on 16/09. Follow link to Timelapse video of Sud Est crater on 16/09 Thanks to Klaus Dorschfeldt for these images by on of Catania’s view I prefer. 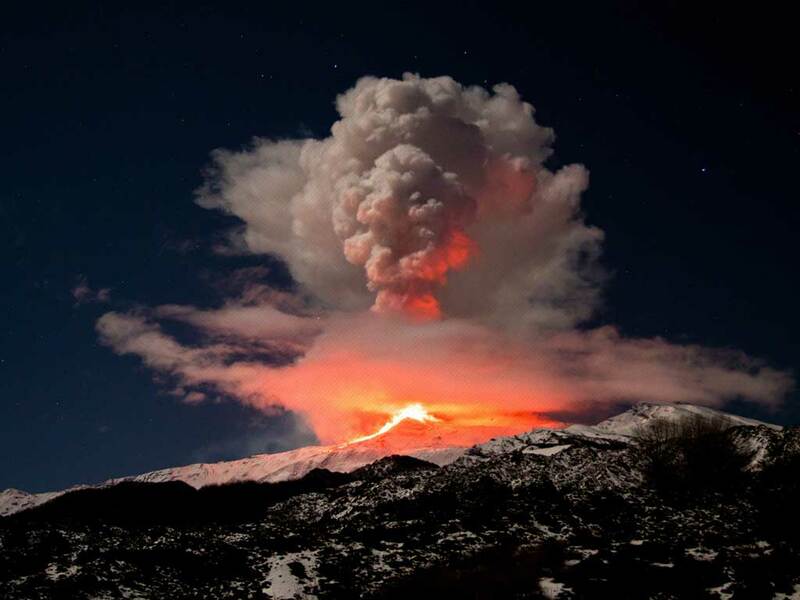 One week ago we had cold and bad weather and Etna got a white cap. Now weather is warm again but Etna shown proud her winter looking on her top. Thanks to Andreas Brenneke for airplane image.